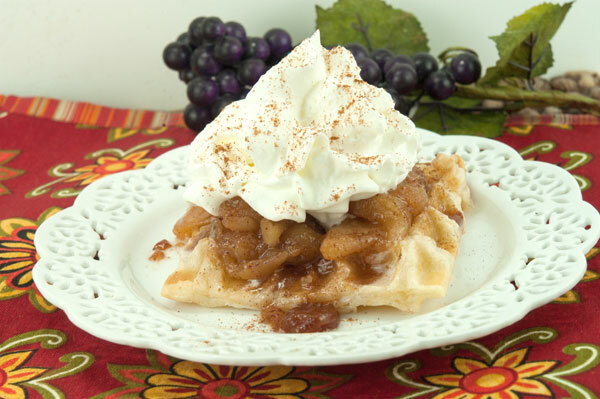 I saw a post for these great Puff Pastry Waffles with Caramelized Apples on Pinterest from Lori over at Recipe Girl, and literally wasted no time making them. Thankfully, I had some great puff pastry in the freezer from Dufour. 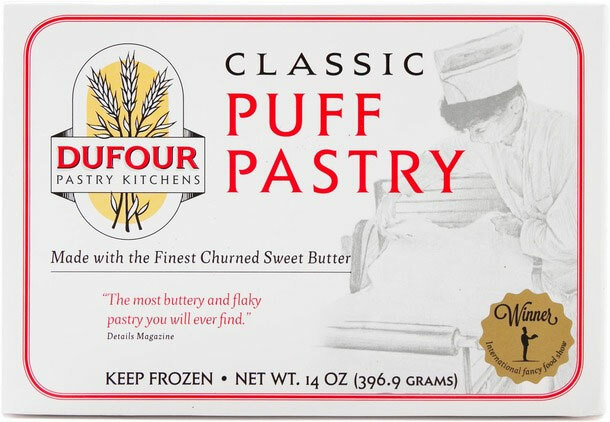 Dufour makes the BEST puff pastry IMO! And, it’s my freezer just awaitin’ for some deliciousness to go along with it. Caramelized apples are just the thing! And, by coincidence I had some Granny Smith apples, and the rest is history. This is got to be the EASIEST, DELICIOUS, and ELEGANT recipes you can make in a pinch! 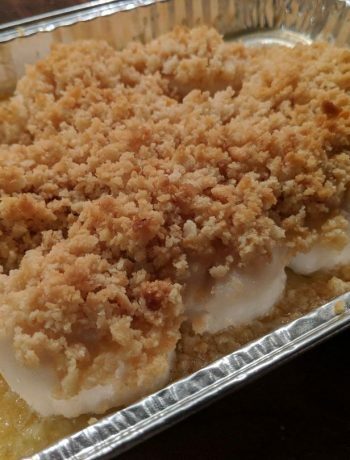 Top with some whipped cream or ice cream and you’ve got an apple pie in a quarter of the time and trouble! Prepare Caramelized Apples: In a large skillet over medium-heat, melt butter. Add apples, sugar, cornstarch, cinnamon, nutmeg and salt. Stir apples into sugary, buttery mixture until coated. Let apples cook and caramelize, about 15 minutes, stirring every so often (reduce heat as needed). Remove skillet from heat and stir in vanilla, and lemon juice. Set apples aside to cool. 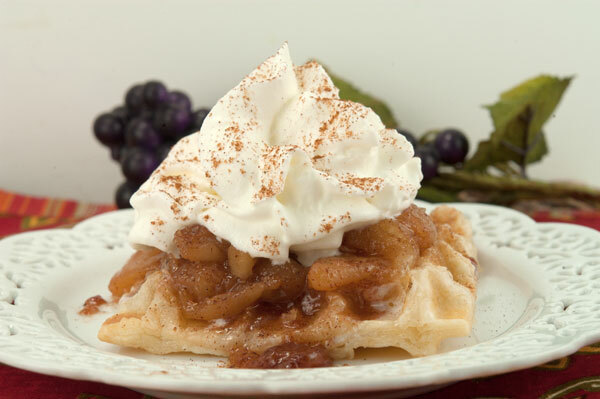 Prepare Waffle Pastries: Preheat waffle iron. Unfold puff pastry. Use sharp knife and cut along seams to create three rectangles. Cut each rectangle into thirds. You should have nine square pieces of puff pastry (about 2 1/2-inch x 3-inch). Combine sugar and cinnamon: Sprinkle tops of puff pastry squares with cinnamon-sugar mixture. Spray waffle iron with nonstick spray. Place puff pastry onto waffle iron (two at a time) and close waffle iron. It should only take 2 or 3 minutes for the pastry to puff up and turn golden brown. Gently lift the waffle iron to watch progress and remove the waffles when done. Repeat with remaining pastry dough. Set pastry waffles aside to cool. Prepare whipped cream: Using electric mixer, beat whipping cream until stiff peaks form. Add cinnamon and vanilla. 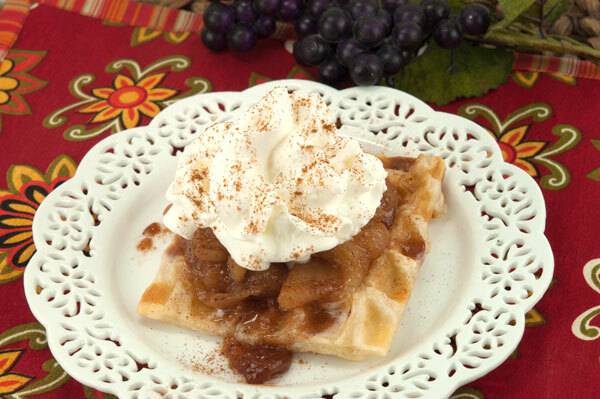 Assembly: Place waffle pastries on serving platter and top with caramelized apples, drizzling pan juices too. Pipe whipped cream on top of the apples. Serve immediately.